Ancient Greece can be recaptured in so many places, but on this land mass one easily finds the great empire of Hellentic times at every turn. It is easy to see a place like Nauplion or the Epidaurus Theater as a day trip from Athens. For the real experience you will want to visit Mani, the living castle of Monemvassia, or perhaps a beautiful fishing village like Githion. The countryside is so beautiful that one needs to drive it to fully appreciate it. Choose your destination before you depart, and leave free days in between. Be aware that there only a few accommodations in some areas, such as Monemvassia, so one should call ahead for reservations. Superbly situated on a mountain slope, the hotel offers breathtaking views of the picturesque port of Itea, a town built at the edge of a plain full of olive groves and vineyards. 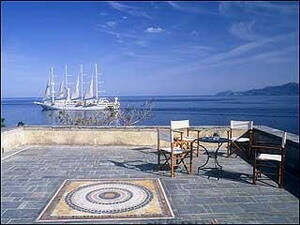 The Amalia Olympia is ideally situated in a similar setting, not far from the archaeological site. If offers 160 fully airconditioned rooms with telephone and three channel radio. 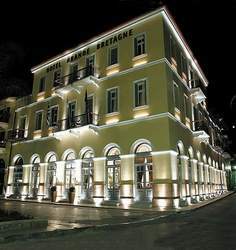 The renowned Amphitryon Hotel, brand new in designed redefines luxury hospitality, in the historic city of Nafplion, Greece's first capital city, offering its discerning leisure & business guests exceptional levels of luxury accommodation & personalized service. The Amphitryon Hotel is a member of the "The Leading Small Hotels of the World" and also a member of Helios Hotels & Resorts. 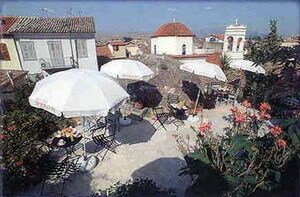 Located in the more significant structure of the fort of Monemvasia whose history is lost in the depths of the centuries and only a few metres away from the fortifications overlooking the Mirtoon Sea, providing easy access to several churches such as Panagia Chrisafitissa, Panagia Mirtidiotissa, Chistos Elkomenos. Location! Location! Location! Do not expect luxury, but this is a good hotel with warm hostpitality. Nauplia was the first capital of modern Greece, libarated almost 200 years ago from the Osmanic Empire. In the middle of its historical centre, at the foot of Citadel Hill with excellent view on Nauplia and the sea, you will find our Hotel Byron in a carefully restored ancient building. 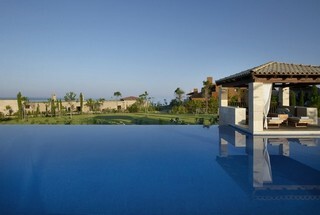 The Westin Resort, Costa Navarino will open on July 1st 2010, not on June 4th as previously indicated. Reservations from June 4th to July 1st will be honoured and guests will be accommodated in The Romanos, a Luxury Collection Resort. 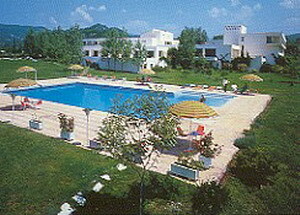 The Romanos Resort is also located in Navarino Dunes, guests will have full use of the resort facilities. Hotel Europa with the family atmosphere that distinguishes it, continues to offer high quality services and more importantly a friendly and family ambience. The hotel offers 78 rooms and 2 suites. 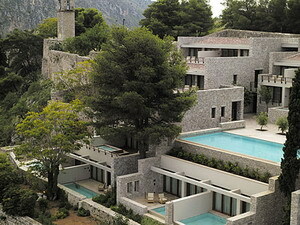 Most of the rooms oversee the swimming-pool, the gardens, and the valley of the Alfios River. Spacious rooms, each discreetly styled, and decorated, classy, modestly luxurious; you will experience an unparalleled sensation. Each room is a piece of art combining nostalgia for the past with today comforts. 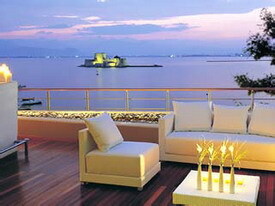 Nafplia Palace sets a entirely new standard for city hotels in Greece, unbeatable for luxurious holidays. It is an ideal base for tours to the Peloponnesian historical sights, and is a top class venue for conferences, seminars, events and happenings. Its elegant reception halls decorated with fine art, bars, restaurants and swimming pool area offer the hospitality and comfort, which satisfy the most demanding clientele. 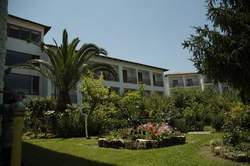 Situated on the hill of the beautiful forest of Olympia, the OLYMPION ASTY hotel emurges among olive trees and majestic gardens.From it’s rooms, you can enjoy the unique view of the valley of Alfeios river, the Kiparissia bay and the Ionian sea. The OLYMPION ASTY hotel is only 1km far from the archaeological site of Olympia and 30 min. away from the Kaiafas beach. Unwind in any of the 321 exceptional rooms overlooking the sea, landscaped gardens and infinity pools. 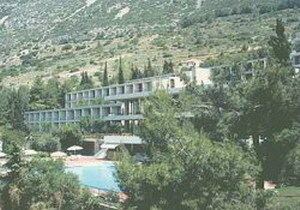 The Romanos Resort features extensive grounds with indigenous trees and plants, and overlooks The Dunes Beach. Stretching for over 1km, the beach is washed by the warm clear blue waters of the Ionian Sea. The perfect location to enjoy unrivaled relaxation and experience the authenticity of the surrounding environment. One of the most unspoiled and breathtaking seaside landscapes, Messinia has been shaped by 4.500 years of history.